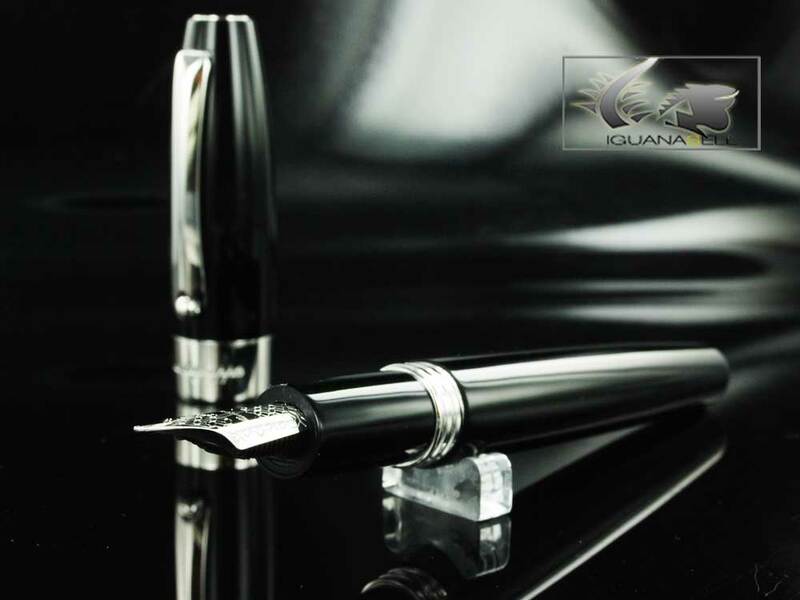 Iguana Sell Pens | Preview : Montegrappa Fortuna Pens! 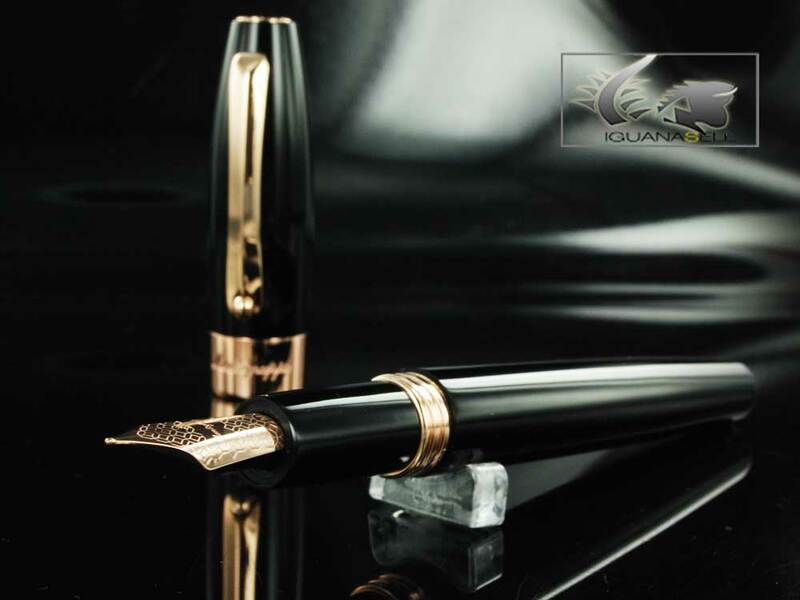 Preview : Montegrappa Fortuna Pens! A new Montegrappa pen coming to stores in mid November! This elegant line is made to bring luck to those who deserve it. It is inspired in the Goddess of Fortune that delivered success and wealth to those she deemed fit. However, in the classical Roman cultrure, fortune was tightly (though not necessarily) bound to virtue and this is what Montegrappa wishes to highlight with this new line. Montegrappa Fortuna Pens are finished in high quality black resin and come in three different models to better adapt to your personal tastes. 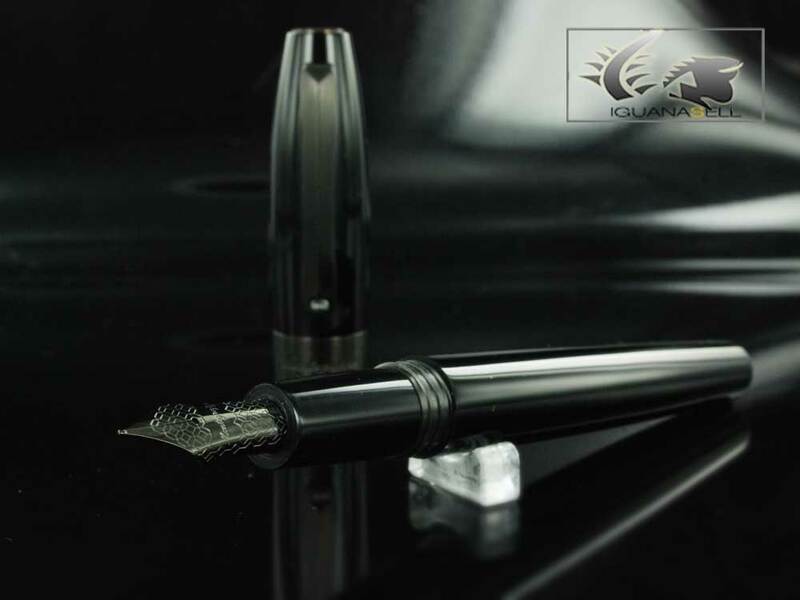 The pen with palladium trims goes along the more classical line, with the traditional two-color black and silver. After the success of rose gold and gun metal trims in other lines like Montegrappa Nero Uno, the Fortuna line repeats design! The central ring bears Montegrappa’s signature engraved on it, and on the fountain pens, the nib comes with a modern geometrical pattern. The cap is slightly wider than the barrel and it comes with a new Montegrappa clip which is also wider, and in a way resembles a sword blade. Instead of the traditional Montegrappa rotating ball, on the end of the clip you can find a smaller rotating metal wheel. Montegrappa dedicates these pens to those who, as a sign of their virtue, cultivate their writing and have developed a high education. These pens have been made as a sign of Fortuna’s blessing for those who have built up a virtuous personality based on values and knowledge.